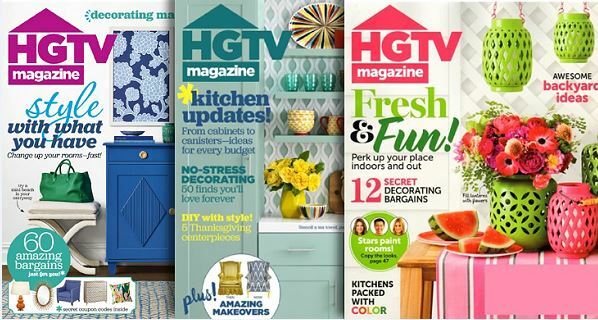 Right now you can grab a one Year Subscription to HGTV Magazine for $11.95 (up to 3 years). This offer is good through tomorrow night, April 19th at 11:59 PM (EST), and to get this nice price, just enter the code TOTALLYTARGET at checkout. Keep in mind with Discount Mags there is NO auto-renew and shipping is FREE. And if you want to give a subscription as a gift – Discount Mags will send out a FREE e-card letting the recipient know of your gift. Looking for other magazine deals? You are in luck! Coupon code: TOTALLYTARGET will also get you 20% off on almost all other titles at DiscountMags! Today you can pick up a 1-Year Subscription to Golf Digest Magazine for only $4.95 with code TOTALLYTARGET. You can order up to 3 years at this price! As always with Discount Mags there is NO auto renew and shipping is always FREE. And, if you are wanting to pick up a subscription as a gift – keep in mind Discount Mags will send out a FREE e-card letting them know their gift is on the way. About Golf Digest:Improve your game with Golf Digest. Subscribe now to get instruction from the game’s hottest pros – Ernie Els, Justin Leonard, Phil Mickelson, and Tiger Woods. Golf Digest gives you more and better tips than any other golf magazine. In every issue you’ll get two tear-out sections – Basics, a refresher on fundamentals, and Pocket Tips, a review of the issue’s best tips. You’ll also get equipment reviews, America’s greatest 100 golf courses, feature stories, and much more. This deal will run through midnight (EST), April 19th. Looking for other magazine deals? You are in luck! Coupon code: TOTALLYTARGET will also get you 20% off on almost all other titles at DiscountMags! 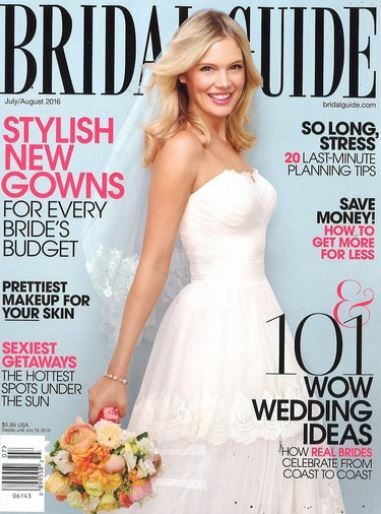 Right now you can get a 1 Year Subscription to Bridal Guide Magazine for only $4.99/year with code TOTALLYTARGET and you can purchase up to 3 years at this price. About Bridal Guide: Bridal Guide is a magazine for the contemporary bride-to-be focusing on current trends in fashion, beauty, home design, and honeymoon travel. Complete detailed information on wedding planning and social issues that affect the bride and groom are regular features. This deal will run through tomorrow night at midnight (EST), April 18th. Looking for other magazine deals? You are in luck! Coupon code: TOTALLYTARGET will also get you 20% off on almost all other titles at DiscountMags! Here’s a great way to save money on all kinds of purchases especially on major ones – right now you can grab a One-Year Subscription to Consumer Reports Magazine for only $17.99 when you enter coupon code: TOTALLYTARGET. This deal will run through 11:59 PM (EST), April 18th and with Discount Mags there is NO auto renew and shipping is FREE! Consumer Reports is widely regarded as the go-to source to help you make those big buying decisions a lot easier! They do all the legwork by researching many products so that you have all the information you need at your finger tips to help you make the right decision for you. Each issue features reviews of cars, appliances, electronics, health, finance, product recalls and more. Today you can score a One Year Subscription to Garden & Gun Magazine for just $4.99/year (up to 2 years!). Just enter the code TOTALLYTARGET at checkout to get this nice price. This deal will run through 11:59 pm EST tomorrow night, April 17th. Plus, as always with Discount Mags there is NO auto renew and shipping is FREE! About: Garden & Gun represents a celebration of Southern Lifestyle at its best. Offering lush photography and top quality editorial. It also delivers a unique look at outdoor sporting activities, fine dining, personal style & design, and travel destinations throughout the South. Right now you can grab a One Year Subscription to Women’s Running Magazine for only $6.99/year (up to 4 years) when you enter coupon code: TOTALLYTARGET. This deal will run through midnight (EST) tomorrow April 17th. Plus, as always with Discount Mags there is NO auto renew and shipping is FREE! Training Tips: From post-workout yoga to the best workout gear for your body type to how to get ready for your first marathon. Practical Advice: Irresistible recipes to help you fuel up, guides to the best running destinations, and more. Inspiring Stories: The stories in Running Women’s Magazine chronicle the struggles and triumphs of real women who run to get healthy, to de-stress, to look good, and, most of all, to feel happy. 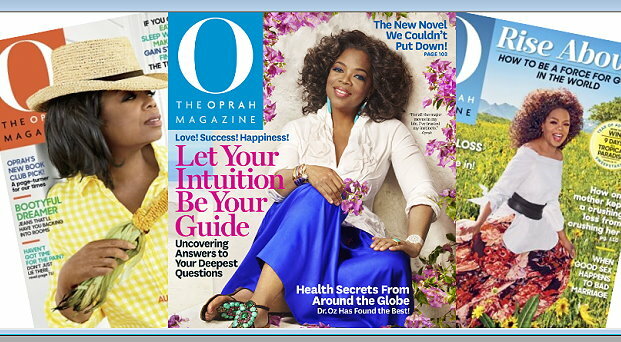 Right now you can grab a subscription to O, The Oprah Magazine for only $5.95 per year (up to 4 years!). Just enter the coupon code: TOTALLYTARGET at checkout to get this great price. This deal is good thru 11:59 PM EST April 16th. About O, The Oprah Magazine: O, The Oprah Magazine, is THE magazine subscription for today’s smart woman. Every issue features great food and diet advice, beauty and health tips, financial planning, articles on social issues, book reviews and more. Learn to live a happier life with one of the most trusted women in America. Subscribe today and transform your life! Grab a One Year Subscription to Discover Magazine for only $8.99/year when you enter coupon code: TOTALLYTARGET. This deal will run through tomorrow April 16th, at midnight EST. This magazine is typically quite expensive, but gets great reviews and would also make a great gift. 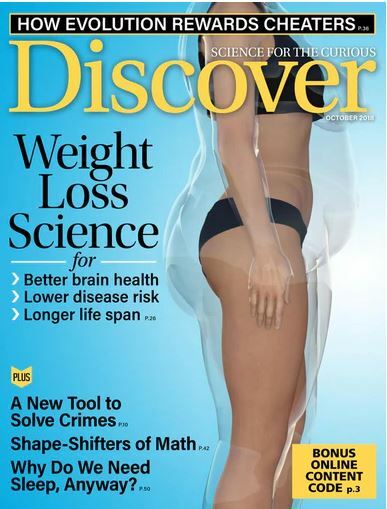 About Discover Magazine: Discover the latest science and technology news. Each issue features general interest science news, articles, and current events on today’s hot topics like technology, space, environment, health, and more. This magazine subscription will help you keep up with today’s fast changing world. Here’s a nice magazine deal for you. Right now you can get a 1-Year Subscription only $4.95 (up to 4 years) with code TOTALLYTARGET. 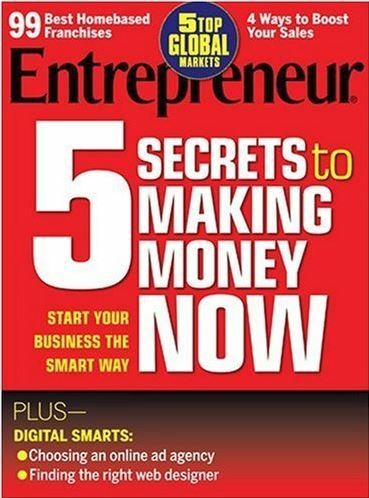 About Entrepreneur Magazine: Entrepreneur is the leading authority in small business news. Each issue is packed with advice from experts, business opportunities, advertising tips, and inspiring stories from successful people. This magazine subscription will show you how to create a name for your business, offer guidance on being an expert manager, help you with internet questions, and more. This deal will run through tomorrow night at midnight (EST), April 13th. Looking for other magazine deals? You are in luck! Coupon code: TOTALLYTARGET will also get you 20% off on almost all other titles at DiscountMags! This would be a great gift idea if you’ve got a little one at home who is a nature nut and just wild about animals! You can grab Ranger Rick Magazine at a great rate to help encourage their interest! Thru April 13th, you can get a One-Year Subscription to Ranger Rick Magazine for only $13.99/year when you enter coupon code: TOTALLYTARGET. About Ranger Rick Magazine: Ranger Rick is a book for boys and girls ages 7-12. Each issue is packed with full-color photos of animals and stories of adventure. Ranger Rick is published by the National Wildlife Federation and focuses on teaching young kids about wildlife, nature and conservation. This magazine subscription is perfect for children who love the outdoors and animals.